TEP’s “The Last Jedi” episode: We Need Your Help!! We are getting so close to Star Wars: The Last Jedi right now, and I am so excited!! Sadly, I won’t be getting to see this newest installment until after Christmas, but that won’t stop me from ramping up the excitement for the film with The Elven Padawan! Since you probably won’t be hearing a whole lot concerning The Last Jedi from me after the release, I’d like to try something new and fun before it, and I need all your help! Some of you may have already seen this on my Twitter feed, but for those of you who haven’t, I still want your help. I’m trying to put together a “community input” episode for The Last Jedi. You know how many news channels often go out on the streets and ask random people they see questions concerning different things, then clip all these bits together into one presentation? I’ve always loved to watch those, so I’ve decided to try it out with The Elven Padawan podcast! Does all that make sense? In short, I’m trying to collect as many people’s input on these questions as possible, then edit them all together and release the podcast in time for the premier of The Last Jedi. Like I said in the tweets, you don’t have to do anything fancy. Just let me know if you’re interested (you can email me at: shay@elvenpadawan.com), and I’ll send you the all the info, including the questions and instructions for how to get them back to me, and you can be part! And like I said, all you have to have is a smartphone, tablet, or computer with an audio recorder (which almost all devices have reloaded onto them when purchased), and some excitement for The Last Jedi. As of right now I have a few people interested, but I’d like to get this out as much as possible and get as many people as I can involved. It’s a fun project that I’m really excited to see turn out, and I think it might help gather some more attention for The Elven Padawan. So if you have friends or family members who might be interested as well, pass this on to them, or get together in a group and record all your answers at once! The Elven Padawan: From Erebor to Echo Base – #9 – Destiny, Rebels, HerUniverse, &… a LOTR TV show??!! Shay goes solo! All by herself, she rambles about: recent episodes of Forces of Destiny, why you should be watching them, and how they tie into the bigger story (#HeraLives!! ); Star Wars Rebels and where it’s headed as the show comes to a close; recent releases from HerUniverse and Shay’s tastes in fandom fashion; and the just-dropped reports on the possibility of Amazon making a Lord of the Rings series. She also reads some thoughts from the audience concerning these topics, and takes a few minutes to ramble about Vice Admiral Holdo, Rose, and other characters entering the Star Wars universe. Sound effects were from the Free Sound Project. The Elven Padawan: From Erebor to Echo Base – #6 – Battlefront II, Forces of Destiny, and REBELS!! Shay has a guest another this week! This time she is joined by Johnamarie Macias of The Wookiee Gunner, who helps her cover more news from Battlefront II, Star Wars: Galaxy of Heroes, Star Wars Forces of Destiny, and of course, Star Wars Rebels!! They also discuss underrated female characters from Star Wars (Satine x Padme for BROTP! ), badgirls in the spotlight (who says villains aren’t also heroes? ), the possibility of Force Sensitivity in the Erso family, and have a bit of fangirl time devoted to Rebels (the metaphors of Kanan’s mask and Sabine’s hair). Shay also has a very sad Kanera thing that everyone needs to hear. Stay tuned after the show for a special question Shay has for all her listeners! New – follow on Twitter: https://twitter.com/ElvenPadawan. Please subscribe to the show on iTunes, GooglePlay, or SoundCloud and leave me a review! You can also follow this site, and get updates on every new post. If you have a question or comment to be read and answered on the show, send them to me at shay@elvenpadawan.com. New Star Wars Forces of Destiny trailer!! Star Wars Rebels season 4 poster!! Tracked back to their hidden base by a mysterious Imperial agent, the rebels must trust some seemingly dangerous native creatures, who are far more than meets the eye. In this episode, Shay is joined by special guests: Lizzy and Zoe of the Star Wars Geek Girl podcast! They cover the latest in Star Wars news, their love for Star Wars animation, Rey’s new look, and get distracted plenty of times! Those “cards” with hints and snippets from Star Wars: From a Certain Point of View. Zoe’s Her Universe “Hera” shirt. Info on Star Wars: Forces of Destiny season 2. The Elven Padawan: From Erebor to Echo Base – #4 – Force Friday II! There’s something pretty different in The Elven Padawan’s packaging this time: a recording of Shay and her family’s adventures on Force Friday II! Tag along as Shay, her dad, and sisters head out at midnight to participate in the fun of grabbing up the new merchandise for this December’s Star Wars: The Last Jedi as soon as it gets released. The Elven Padawan is now on Twitter!! Shay and her guest Evie finish up their review of the Star Wars: Rebels season 3 finale, “Zero Hour”. First though, there’s some Star Wars news to cover, and Shay reads some comments from listeners. Then we get into the rest of that review. We continue our obsessions over Grand Admiral Thrawn and Captain Syndulla, talk about Kallus joining the Rebellion, and who will die before it’s all over. Please subscribe to the show on iTunes, GooglePlay, or SoundCloud and leave me a review! (Yes, it’s finally up on GooglePlay!! 😀 ) You can also follow this site, and get updates on every new post. If you have a question or comment to be read and answered on the show, send them to me at shay@elvenpadawan.com. Shay and guest Evie review the first part of the Star Wars: Rebels season 3 finale, “Zero Hour”. We talk about Hera (a lot) and Grand Admiral Thrawn (a lot). And Shay does a little rant on Jedi attachments, and why she just can’t do Grey Jedi. Please subscribe to the show on iTunes and/or SoundCloud and leave me a review! You can also follow this site, and get updates on every new post. Also, leave comments below with your thoughts on this first episode, as well as the topics covered in this episode, and I’ll read them on the next episode of the Elven Padawan podcast! Welcome to the first ever episode of The Elven Padawan podcast! In this episode, Shay introduces the show and what it’s all about. There’s a great segment on the Maiar of Middle-Earth. Then we dive helmet-first into quite the monologue on Stormtroopers: who they are, what they do, and why they can’t hit a stinkin’ thing! Please subscribe to the show on iTunes and leave me a review! You can also follow this site, and get updates on every new post. Also, leave comments below with your thoughts on this first episode, as well as the topics covered in this episode, and if you label them #EPno.2, I’ll read them on the next episode of the Elven Padawan podcast! Music during the beginning of the Stormtrooper monologue was “gravitationalWaves”, by Ayreon. The Elven Padawan is now available on iTunes!! Follow The Elven Padawan & Get Emails with all the Latest News!! Enter your email address to join the adventures and stay up-to-date on all the latest news!! “The Elven Padawan” is a fansite and podcast with a focus on the Star Wars and Tolkien-related franchises, and a desire to show the world the accomplishments and abilities of young fans. Check out our Patreon page and consider becoming a supporter! Your support keeps the adventures coming and helps us reach higher for even bigger future goals! In order to keep bringing you all the Star Wars, Middle-earth, and general geekdom news, rants, reviews, and assorted other awesome content that you have come to expect from us, The Elven Padawan is part of the Amazon Affiliate program. When we link to an Amazon.com product on this site and you click that link and purchase that product, Amazon gives us a very small reward. This will never charge you anything extra, and helps keep us going. So if you love what we do here, please consider using our links to make your purchases! 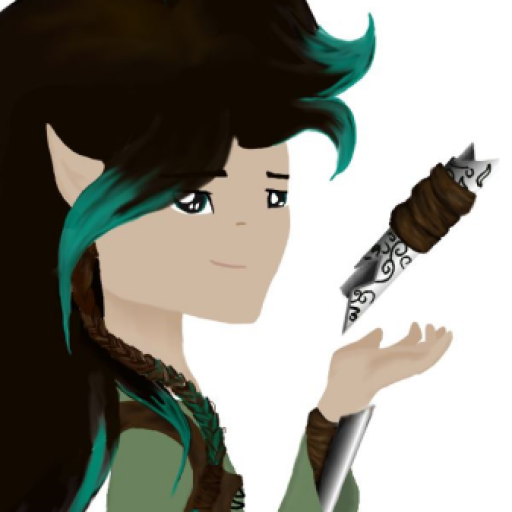 Follow The Elven Padawan & get emails with all the latest news!